Looking for high-potential stocks? Just follow the big players within the hedge fund industry. Why should you do so? Let’s take a brief look at what statistics have to say about hedge funds’ stock picking abilities to illustrate. The Standard and Poor’s 500 Index returned approximately 7.6% in the 12 months ending November 21, with more than 51% of the stocks in the index failing to beat the benchmark. Therefore, the odds that one will pin down a winner by randomly picking a stock are less than the odds in a fair coin-tossing game. Conversely, best performing hedge funds’ 30 preferred mid-cap stocks generated a return of 18% during the same 12-month period. Coincidence? It might happen to be so, but it is unlikely. Our research covering a 17-year period indicates that hedge funds’ stock picks generate superior risk-adjusted returns. That’s why we believe it is wise to check hedge fund activity before you invest your time or your savings on a stock like Kadant Inc. (NYSE:KAI). Kadant Inc. (NYSE:KAI) investors should pay attention to a decrease in activity from the world’s largest hedge funds recently. KAI was in 13 hedge funds’ portfolios at the end of September. There were 15 hedge funds in our database with KAI positions at the end of the previous quarter. The level and the change in hedge fund popularity aren’t the only variables you need to analyze to decipher hedge funds’ perspectives. A stock may witness a boost in popularity but it may still be less popular than similarly priced stocks. That’s why at the end of this article we will examine companies such as CytomX Therapeutics Inc (NASDAQ:CTMX), Loxo Oncology Inc (NASDAQ:LOXO), and Modine Manufacturing Co. (NYSE:MOD) to gather more data points. At the end of the third quarter, a total of 13 of the hedge funds tracked by Insider Monkey were bullish on this stock, down by 13% from the previous quarter. 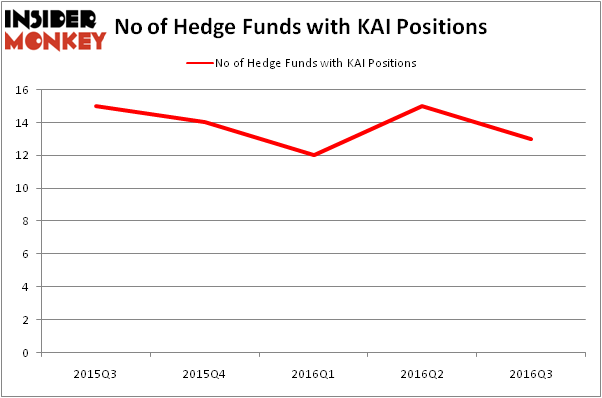 The graph below displays the number of hedge funds with bullish position in KAI over the last 5 quarters. So, let’s review which hedge funds were among the top holders of the stock and which hedge funds were making big moves. According to Insider Monkey’s hedge fund database, Royce & Associates, led by Chuck Royce, holds the biggest position in Kadant Inc. (NYSE:KAI). Royce & Associates has a $40.5 million position in the stock. The second largest stake is held by AQR Capital Management, led by Cliff Asness, holding a $4.3 million position. Some other members of the smart money that hold long positions encompass Ernest Chow and Jonathan Howe’s Sensato Capital Management, John Overdeck and David Siegel’s Two Sigma Advisors and Jim Simons’ Renaissance Technologies. We should note that Sensato Capital Management is among our list of the 100 best performing hedge funds which is based on the performance of their 13F long positions in non-microcap stocks. Is Liberty Sirius XM Group (LSXMK) A Good Stock To Buy? 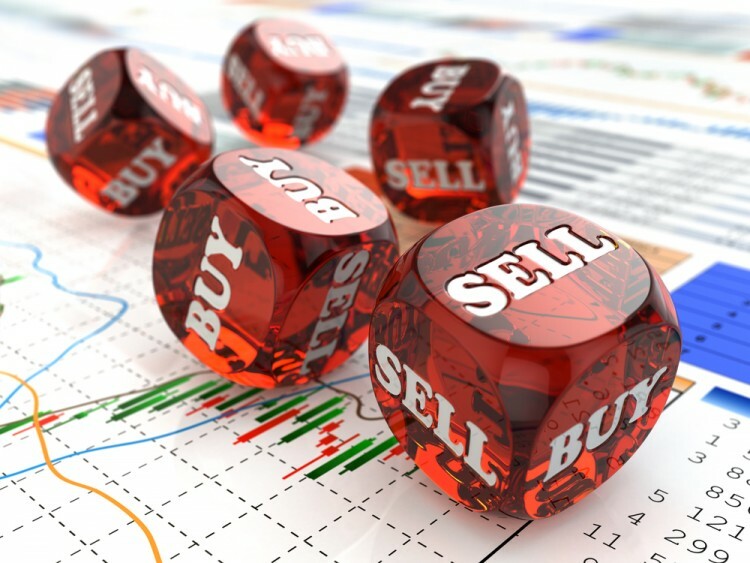 Hedge Funds Are Still Buying Novanta Inc (USA) (NOVT) Hedge Funds Don’t Think Very Highly of Annaly Capital Management, Inc... Should You Avoid Nationstar Mortgage Holdings Inc (NSM)? Is Northstar Realty Europe Corp (NRE) Going to Burn These Hedge Funds? Is Nordic American Tanker Ltd (NAT) A Good Stock to Buy?